The U.S. Food and Drug Administration (FDA) released proposed rules on Friday to restrict the use of indoor tanning among minors. Indoor tanning is a known risk factor for skin cancer. The proposed restrictions are also intended to reduce the risk of indoor tanning for adults. 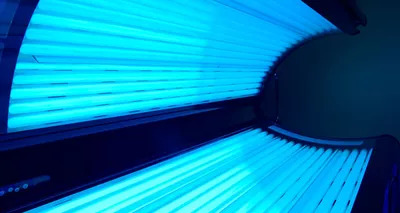 The rule proposed by the FDA would restrict the use of sunlamp products, including tanning beds, to people age 18 and older. The rule also suggests that adults age 18 and older must sign a risk acknowledgement certification before their first tanning session, and every six months after that, stating they have been informed of the risks of indoor tanning. The second proposed rule requires manufacturers to implement more safety restrictions. The changes include making warnings easier to read on the devices, requiring emergency shut-off switches and adding restrictions to the amount of light allowed through protective eye wear people use during tanning. The FDA reports that there are about 18,000 to 19,000 indoor tanning salons and 15,000 to 20,000 other facilities like spas that offer tanning. Indoor tanning exposes users to both UVA and UVB rays, which harm skin and can cause skin cancer, according to the U.S. Centers for Disease Control and Prevention (CDC). The FDA reports that 1.6 million minors indoor tan each year. Initiating indoor tanning at an early age increases a person’s risk for getting melanoma, likely due to greater use, and the effects of UV ray exposure are known to amass over time. In a statement about the proposed rules, the FDA reports that people who are exposed to radiation from indoor tanning are 59% more likely to develop melanoma compared to people who have never used indoor tanning. In addition, the CDC says indoor tanning also causes premature skin aging, changes in skin texture and a higher risk for eye diseases. The proposed rules are available online for public comment for 90 days.